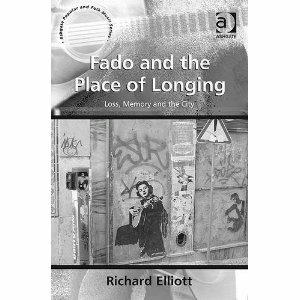 My book Fado and the Place of Longing: Loss, Memory and the City is published by Ashgate today. The book is a result of research I have carried out on fado over the past five or six years. This research followed a period of living and working in Lisbon, although the research really established its focus when I moved to Newcastle upon Tyne to embark on a PhD at Newcastle University. My PhD thesis, entitled ‘Loss, Memory and Nostalgia in Popular Song: Thematic Aspects and Theoretical Approaches’ included a chapter on fado alongside others on Latin American nueva canciön, black protest music in the USA (specifically the work of Nina Simone) and punk and post-punk in Britain. More information about his project can be found here, along with some downloadable papers. I decided to expand my work on fado into a longer project after completing my doctorate, and put together a proposal early in 2008. Ashgate expressed interest in publishing the book and I wrote it between July 2008 and July 2009. There were numerous reasons I could see to write this book. There was, I pereceived, a significant amount of interest in fado at both national (Portuguese) and international levels. The rise in global popularity of the so-called ‘new fadistas’ over the last decade had led fado to a level of visibility unmatched since the heyday of the internationally-renowned performer Amália Rodrigues. Current fado performers, in particular Mariza, had found themselves at the forefront of a star system promoted by the contemporary world music network. Fado was being regularly reviewed in the Anglophone music press, with leading world music publications such as Songlines and fRoots featuring Mariza and other performers in prominent articles. Two films had recently been completed on the contemporary fado scene, Simon Broughton’s Mariza and the Story of Fado (2007) and Carlos Saura’s Fados (2007) and the time seemed right for a thoroughly-researched English language monograph on the genre. To date, the only book-length study of fado music in English had been Paul Vernon’s A History of the Portuguese Fado (Ashgate, 1998). The main strengths of Vernon’s book lie in its account of the Portuguese music industry in the mid-twentieth century, its presentation of archival material relating to recording sessions by key performers such as Amália Rodrigues, and its ethnological account of a fado venue in the 1980s. It suffers from a number of drawbacks, however. 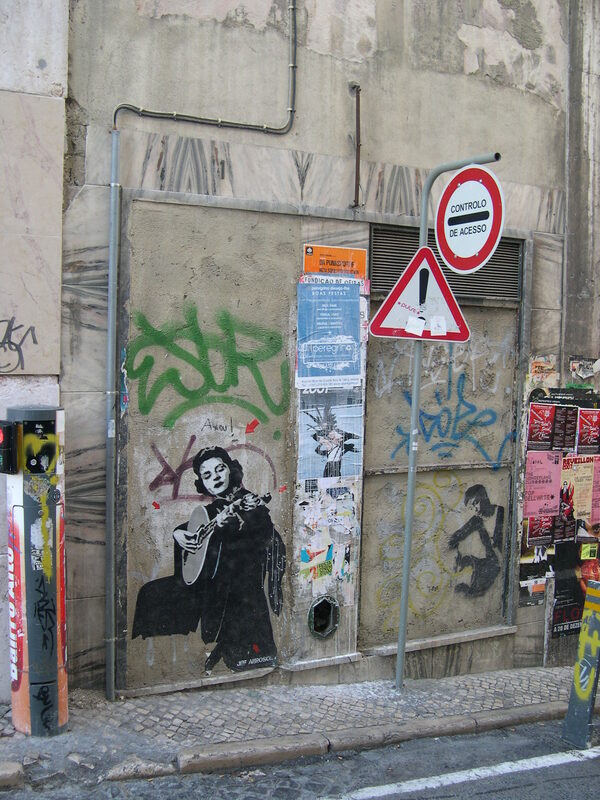 For a start, there is an over-reliance on English language scholarship on fado which had not progressed far from Rodney Gallop’s work in the 1930s. Vernon does not provide translations, or even summaries, of subsequent Portuguese scholarship in the area and any sense of the debates which shaped fado discourse and practice during the second half of the twentieth century is subsequently lacking. Furthermore, Vernon’s presentations of key fado performers are rather cursory and, while a number of fados are quoted (although without Portuguese versions for reference), one does not get a sense of the full range of topics with which fado music engages. Additionally, Vernon’s book appeared shortly before the current fado ‘boom’, meaning that there is much to be updated for those wishing to place the work of current performers such as Mariza, Cristina Branco and Ana Moura in its proper historical context. I hoped my book would partly fill a gap left in the scholarship by providing translations and summaries of recent Portuguese work on fado, presenting a more full-realised historical account of fado recording in the second half of the twentieth century, giving detailed accounts of fado song texts and examining the continuities and discontinuities in current fado practice. In addition to the filling a gap in English language work on fado, I hoped that a project such as this would have some resonance beyond its immediate subject matter by engaging with debates in the fields of memory studies, historiography and media studies. My examination of the role of the city in fado song texts can be compared to work in other areas on what M. Christine Boyer has called ‘the city of collective memory’. By engaging with theories of witnessing, I hoped to contribute to other contemporary work on the uses of memory, archival culture and the politics of reconciliation. By focussing on recent developments in fado music, I wanted to extend the existing fado historiography to suggest processes of continuity and change in the mediation of highly memory-oriented cultural practices. Having now completed the book, I think I have been able to achieve most of these aims, with the possible exception of ‘giving detailed accounts of fado song texts’, this being largely due to the unreasonable demands of certain copyright holders who fail to see how the quotation of a few song lyrics might be considered ‘fair use’ in the context of an academic text being produced in a very limited print run and from which the author stands to gain no profit. Such intransigence is even more baffling when one reflects on how easily available many of these song texts are on the Internet. What is not possible, then, in print publishing will be acheivable in a forum such as this where links can be posted to sites hosting lyrics, recordings and videos. My research also led me to areas I had not fully explored before, such as the fascinating spatial theories of Henri Lefebvre, Gaston Bachelard and the large number of cultural geographers influenced by them. While my work had always been about the city in one way or another – specifically the (mis)remembered city of Lisbon – these thinkers gave me a range of new perspectives that showed it was not enough merely to think about the representation of spaces, but also to try and think spatially to a similar extent to which we have all learned to think temporally. The place of longing, then, is many things. It may be a specific space – for me, for this project, the endlessly mapped city of Lisbon that saturates fado song texts. It may be an attempt to put longing itself – and its correlatives: yearning, loss, mourning, nostalgia, memory, melancholy and that wonderful Portuguese word, saudade – into some kind of context. It may be an attempt to situate a particular genre or style – in my case, fado – in a much broader field. I found myself attempting all of these tasks and more.